By choosing to purchase any goods or services from us you agree that you have read and accept our Terms & Conditions. All of our prices, including those advertised on our website and online shop, are subject to change without notice. If you place an order with us (either in person, over the phone or using our online shop) but we then find that our suppliers have increased their prices to us then we will inform you of any price changes and ask you for your permission before we take the necessary extra payment from you if any increases are due. Of course you will also have the choice to cancel your order at this point. We apologise for any inconvenience and thank you for your understanding. Our gift vouchers are valid for 12 months from the date of purchase. Once the gift voucher has reached the end of it's validity period, and so passed its expiry date, it will have therefore expired and no longer be valid. We do not give refunds for gift vouchers. Our gift vouchers are non-transferable and not for resale. We do not allow our gift vouchers to be transferred into another person's name or sold to someone else. Our gift vouchers do not have a cash value. This means that they cannot be redeemed for cash. For the convenience of the users of our website, our website includes links (also known as 'web links' or 'hyperlinks') to other websites and internet pages. The following applies to any and all such links: We would like to stress that we have no influence on the design and content of those linked pages and therefore we expressly disassociate ourselves from any and all third party content linked to from our website. You use any links from our website at your own risk. All of our paragliding lessons, paragliding courses, paragliding tuition credit, tandem paraglider flights, and gift vouchers are valid for 12 months from the date of purchase. This means that the paragliding lesson, paragliding course, paragliding tuition credit, or tandem paraglider flight must be completed within 12 months from the date of purchase after which they will expire and therefore no longer be valid. Once the paragliding lesson, paragliding course, paragliding tuition credit, tandem paraglider flight, or gift voucher you have purchased from us has reached the end of it's validity period, and so passed its expiry date, it will have therefore expired and no longer be valid. This means that once the expiry date has been reached you will no longer be entitled to book in to our diary. 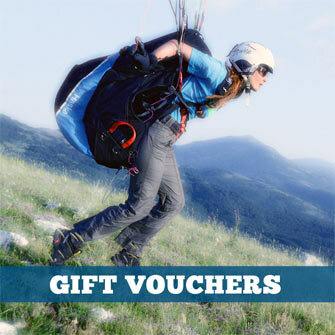 If you have a Flybubble Paragliding gift voucher for a paragliding lesson, paragliding course, paragliding tuition credit, or tandem paraglider flight with us then the paragliding lesson, paragliding course, paragliding tuition credit, or tandem paraglider flight which the voucher entitles you to must be completed before the expiry date of the voucher after which they will expire and therefore no longer be valid. In other words, you have until the expiry date of the voucher to complete the paragliding lesson, paragliding course, paragliding tuition credit, or tandem paraglider flight the voucher entitles you to after which you will no longer be entitled to book in to our diary any more. The 12 month validity period for all of our paragliding lessons, paragliding courses, paragliding tuition credit, tandem paraglider flights, and gift vouchers takes into account availability in our diary and applies to all instances, regardless of any reasons given or circumstances, including outside influences such as the weather. As paragliding is a totally weather dependent activity we recommend that you should book in as soon as possible, subject to availability in our diary, as it is not unusual to have days cancelled due to unsuitable weather conditions. We do not give refunds under any circumstances for any paragliding lessons, paragliding courses, paragliding tuition credit, tandem paraglider flights or gift vouchers. All of our paragliding lessons, paragliding courses, paragliding tuition credit, tandem paraglider flights, and gift vouchers are non-transferable and not for resale. We do not allow our paragliding lessons, paragliding courses, paragliding tuition credit, tandem paraglider flights or gift vouchers to be transferred into another person's name or sold to someone else. Our paragliding lessons, paragliding courses, paragliding tuition credit, tandem paraglider flights and gift vouchers do not have a cash value. This means that they cannot be redeemed for cash. We require a minimum of 48 hours notice for any bookings cancellations. These 48 hours will be taken from 09:00 AM on the day you are booked in to our diary (for example if you were booked in on a Saturday you would need to cancel your booking before 09:00 AM the Thursday before). Any bookings cancellations made with less than 48 hours notice, taken from 09:00 AM on the day you are booked in to our diary, will result in a full loss of credit for the day booked in, regardless of the reason given. Therefore, to avoid being deducted any training credit you must ensure that you give a minimum of 48 hours notice for any bookings cancellations, taken from 09:00 AM on the day you are booked in to our diary. By choosing to purchase any goods or services from us you agree that you have read and accept our Safety Statement.